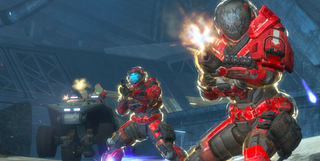 Everyone has probably killed a friend in combat while playing Halo—betrayals happen. But I doubt whatever stab in the back you’ve experienced unfolded as ridiculously as this one did. The clip comes from ttocsllehctim, and it shows just how silly the physics on vehicles in Halo can get. While the clip is indeed from 2012, reader Alex sent it as a tip to me yesterday. Given how few views this astounding betrayal currently has on YouTube, I thought I had to share it. It’s almost like the game went out of its way to kill ttocsllehctim’s teammate, damn!